Here are some of the top date ideas specifically for New Orleans. Ever get stuck in a rut and feel like you’re always doing the same things every date night? We’ve all been there. There’s just something comforting about it. But when the boredom kicks in, you need something exciting, new and fresh to do. That’s where this lovely comes into play. (tada!!!) Here are some fun dates that you can do here in New Orleans. 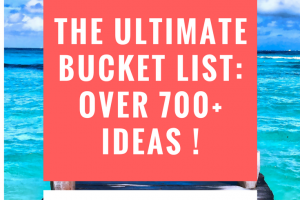 Now don’t think this is only for locals, or that its just for “dates.” Think of it as dates for anyone to do, tourists, BFFs, families, etc will all have a blast with this list below. Cafe du Monde is a must when coming to New Orleans, but for locals, it isn’t something we get all the time. This makes it a perfect date for locals and tourists alike. Beignets are fried dough covered in powder sugar; pair it with coffee or milk for a nice treat any time of day. New Orleans is never shorthanded on festivals going on in the city. We love to party for anything and everything. Gumbo fest, Poboy Fest, Greek Fest, Strawberry Fest, Jazz Fest, Essence Fest, and the list goes on! I’m compiling an A to Z list of all the festivals in and around the city. So stay tuned. NOLA brewery is located off of Tchoupitoulas Ave in New Orleans. This is a FREE tour packed with information and a behind the scenes look of the brewery. They have set times all weekend Friday- Sunday. They also have a restaurant you can eat at and taste all their beers. Looking for an outdoor adventure? Try kayaking on the bayou. Kayak-iti-yak provides you with everything you need. You’ll travel as group along the bayou and learn some neat facts along the way. Don’t worry if you aren’t an experienced kayaker as they offer different packages based on time and difficulty. For more info and our date experience, go here. Built in 1927, the Saenger has become an historical landmark of the city. The theater was heavily damaged by Katrina in 2005. In 2009, talk of restoring the landmark was started and in 2011, financial agreemtent was finalized and renovations began. They tried to keep as much of the orignial architecture, paint and trim as possible. The theater officially reopened in September 2013. Here you can see incredible comedy shows, plays and even broadway shows. It’s one of the fancier dates on the list but super fun nonetheless. If you are looking for a typical date night but with a little twist. Try the Prytania theater. This movie theater is over 100 years old. It opened in 1914 and is a nice treat back in time. They show new movies, old movies, kid movies and indie movies. Check out what they have in theater this month. Get discounted tickets with a popcorn here. Take a trip down the mighty Mississippi! 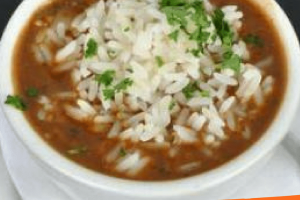 Enjoy the water views aboard the Natchez steamboat and enjoy some food as well. You can do a brunch or a jazz dinner. Groupon has sales all the time, enjoy the discount here! Who doesn’t love listening to music and eating great food? But the best part about it… It’s FREE! That’s right. FREE. Wednesdays at the Square put on by the Youth Leadership Council. It happens every Wednesday from 5-8 starting in mid March and ending in May at Laffayette Square. Food and drink is available to purchase as well. Just bring chairs or a blanket to sit on and enjoy some good food, music and each other’s company. You don’t need kids to attend all the different school fairs. Most schools try to raise money for the school through these events making them awesome to go to and have a good time. Most schools try to choose different weekends as to not compete with other schools. Each does a different theme. Some have amusement rides, others have different kid activities including bouncy houses, rockwalls etc. As for adults, they offer tons of food and drink along with music and entertainment. Explore the swamp and see alligators and cypress knees. You’ll get to see alligators being fed and maybe even jump up from the water. They also let you pet a baby alligator as well. Right now, they have great deals going over at Groupon. You can score a pair of tickts for your spouse or whole family for up to 45% off regular price. Calling all history buffs! Or even if you are not, this place is packed with tons to do! Seriously you’ll need more than one day to see everything they have to offer. It is located in downtown New Orleans on 6 acres. There are 5 exhibition halls, a dinner theater and restaurants. There are tons of historical items, videos and interactives that will entertain all ages. They offer discount tickets for military, students and as rightfully so, WWII veterans get in FREE. Get swept away in what it takes to make Mardi Gras season come to life. Get a first hand look at all the float that will be used in the parades this coming season. Get to try on costumes and even enjoy a slice of king cake. Once again, Groupon for the win! Get discounted tickets here. New Orleans Pharmacy Museum is a historical landmark here as well. It features an extensive collection and provides interpretive educational programs to present and preserve the rich history of pharmacy and healthcare in Louisiana; past and present. In 1804, the State of Louisiana passed a law that required pharmacists to pass a licensing exam if they wanted to practice their profession. In 1816, Louis Dufilho Jr. of New Orleans became America’s first licensed pharmacist. This date is not for the faint of heart and I would not suggest this for kids or a first date. Haha! The original location is in Hollywood, CA. They offer an extensive collection on death including coffins, guillotines, autopsy instruments and more. The whole tour is only about 45 mintues but you’re welcome to stay as long as you’d like. Even if you don’t want the night tour and learn all the ghostly stories of cemeteries, defintitely ride by our cemeteries if you aren’t from here. It’s an interesting site to see as our loved ones have to buried above ground since we live below sea level. Keeping it spooky here. Myrtle plantation is named one of the most haunted houses in the US. Here you’ll find an historical landmark with tons of original work dating back to 1834. The scenery is so peaceful complete with centuries old oak trees and crepe myrtles. You can do a guided tour or self guided as well as a mystery night tour. Or if you’re feeling really adventurous, spend the night in one of the rooms or cottages on the grounds. While most have not experienced any sightings of ghosts, some have and others have said weird unexplained things have happened. Now to be fair, this plantation is not technically in New Orleans. It is located about 98 northwest of New Orleans in Prairieville, LA. If that is too far, feel free to explore plantations in and around New Orleans. Many of them offer tours, bed and breakfast, private event or wedding accomodations. 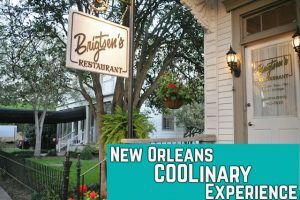 Known for our our drinks like the Hurricane, Pimm’s Cup, Sazerac etc, this cocktail tour tells all and you also get a complimentary beverage along the way. You are welcome to purchase items along the way as well. The tour lasts about 2-3 hours and is ranked pretty high on tripadvisor. It’s also fun for locals to do. Nothing like being tourist in your own city. New Orleans has some of THE BEST food, and we are certianly not in short supply! By doing a food tour, you’re able to get small servings of the food we are known for. Gumbo, pralines, muffaletta to name a few. Even though, we live here, it was a fun time in the city experiencing the best of the best. The tour we did when to some of the top restaurants in the city and is filled with tons of information about the origins. Find out more here. August is Coolinary month. It is a fantastic month filled with food and deliciousness. You can try restaurant’s all over the city for a cheaper price that month. This means all the places you wanted to go but was out of your price range are now in it. Check out our experience at one of the top restuarants here. “Every year on the first Saturday in August, Whitney White Linen Night takes over downtown New Orleans with a sea of white attire. The event honors the talented local artists and galleries that take up shop along Julia Street in the Warehouse/Arts District. Everyone in New Orleans is invited to don their favorite white linen apparel and head out to Julia Street for an evening of gallery hopping, art shopping, food, and drink.” The event is free, but food and beverage are for purchase. 10 tickets for $12. Food items range between 4-8 tickets ( only shrimp & grits is 9) and bars are on every block with drinks. The drinks are 2 for water, 5 for select beer, 6 for cocktails/wine and 10 for doubles. The street car is a must when visiting New Orleans. Locals that live close to the line opt to use this as their transportation instead of driving. Parking can be an issue downtown unless you pay. With the streetcar it is easy to get down there for a cheap price. Since I don’t live in New Orleans, we rarely take the streetcar, which makes this a great start to a date night. Park away from your New Orleans destination and then hop on the streetcar to enjoy the sites to your destination. Just remember that the streetcar is CASH ONLY and it has to be EXACT as they don’t carry cash on them. You can also get a 3 day pass or monthly pass if you plan on staying longer. It is $1.25/person each way. You can also get a one day pass for $3 from the driver. (The same price for the bus). Located in the Riverwalk right along the Mississippi River, you can find an abundance of outlets to satisfy your shopping needs. But there is one pit stop you should make. Head over to the NOLA Tropical Winery for a wine tasting. There you’ll find tons of wines to choose from and take back home with you for when you do a date night at home. If you are looking for a lunch or dinner date, St. Roch Market is perfect! You can get coffee, dessert, mexican, oysters, or drinks and more. As you can see from the picture, it offers a classic white, clean feel and offers seating inside or outside. Did you know that the New Orleans Airport isn’t actually located in New Orleans? You actually fly into Kenner, Louisiana. Here is also where Rivertown is. This quaint little street is full of things to do. You can visit the planetarium, or the farmers market. You can see at play at the rivertown theater or watch outdoor movies. They are always doing events that are family frienly and perfect dates for all occassions. City Park is a great place to have a picnic, ride bikes or just walk in the park. They also have the botanical garden and storyland which are great places for kids, but even better for adults to be kids. (See picture below) We had great fun on our date and even had a watergun fight. See that date here! But in the past few years, they add to the greatness over there. (Cue city park putt putt) They really outdid themselves here as they tried to encompass all of what Louisiana and New Orleans entails. They have two course and great prices. One course is Louisiana themed and the other is New Orleans themed. Take a stroll through the streets and sites down here as you putt putt with your significant other, kids or best friends. (or in my case, a great daddy-daughter date). Last but certainly not least, the New Orleans movie tour. Did you know that New Orleans is one of the top cities for movies to be filmed. Even living here, I didn’t realize all the movies that were filmed her and that’s where Jonathan comes in. He takes you around in his van filled with TVs and takes you directly to sites where movies were filmed. He even plays the movie clips so you can see how they incorporate the setting into the movie. See our experience here for more information. What’s your favorite place to visit in New Orleans? Looking for other date ideas? Check them out here. Share with others or Save for later! Need some delicious recipes? Go Here. Need other adventures? Go Here. I love New Orleans and only thing I love more is their food! The food tour is an AWESOME date idea. Just make sure not to eat too much! Thank you for all if that detailed information Becky. I never knew there was so much to do in New Orleans! I’d especially love to do the swamp tour and see the Voodoo Museum. Great pics too! You’re welcome Natalie! Yes, please come explore. There’s always something going on here in this vibrant city.